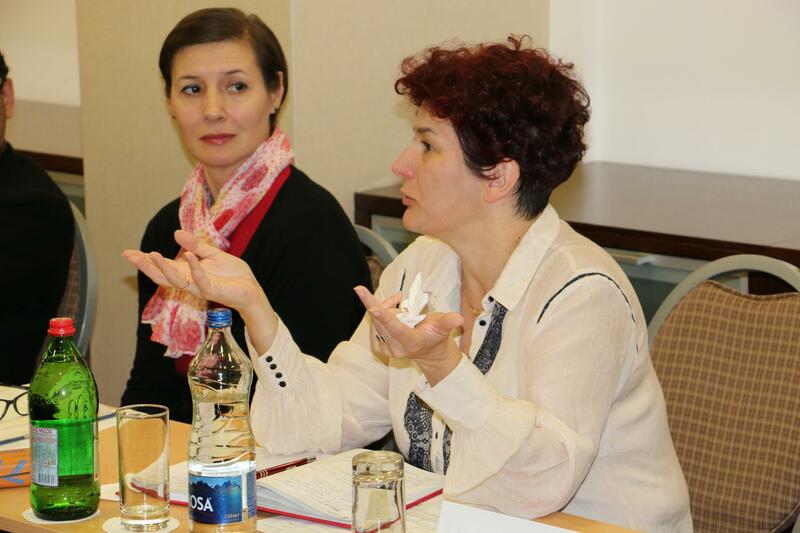 A quite exciting workshop, held on 5 and 6 October 2015, in Belgrade, Serbia, brought together experts from two important NALAS Task Forces: the Urban Planning Task Force and the Fiscal Decentralization Task Force. Municipal Urban Planners and Finance Managers jointly discussed improving environment in land management and taxation. The link between municipal land management, land ownership and taxation was selected as a top priority topic during the last Urban Planning Task Force meeting. Further on, the trends of the NALAS Quick Response service in the first half of 2015 have indicated that property taxation became one of the burning issues for most of the countries in the region. Therefore, in consultation with the member LGAs' leadership and the relevant Task Forces, this topic was addressed at the Second NALAS Summer School on Local Governance and Intergovernmental Fiscal Relations, held in August 2015. The workshop of the Urban Planning Task Force and the Fiscal Decentralization Task Force continued to explore the links between property taxation and urban development. According to the group, the key urban development challenges are: empty/unused property, financing infrastructure for development, illegal construction, urban sprawl, energy/resource efficiency, stimulating economic development, maintenance of housing stock, use of city services by citizens from rural areas, gentrification and green space. With sometimes colliding starting points, in a vivid discussion, urban planners and finance managers agreed that the most important thing is to develop smart and sustainable urban plans, and implement them consistently, while due to the limited own resources of the local governments the resources from the local and shared taxes should be used to enable smart urban development. 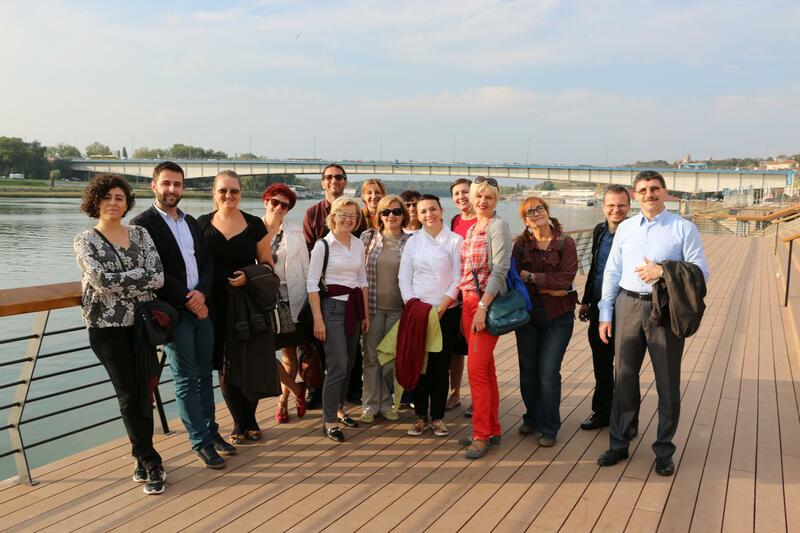 Thanks to the member of the Urban Planning Task Force representing the Standing Conference of Towns and Municipalities of Serbia, Ms. Klara Danilovic, participants had the opportunity to take part in a study-tour "Urban Development Challenges in Belgrade". Ms. Zaklina Gligorijevic, a Planner in the Strategic Planning Department of the Belgrade Urbanism Institute, Vice-President of the Belgrade Association of Architects and an activist, through a walk in both the old and the new City of Belgrade presented its main urban developments. 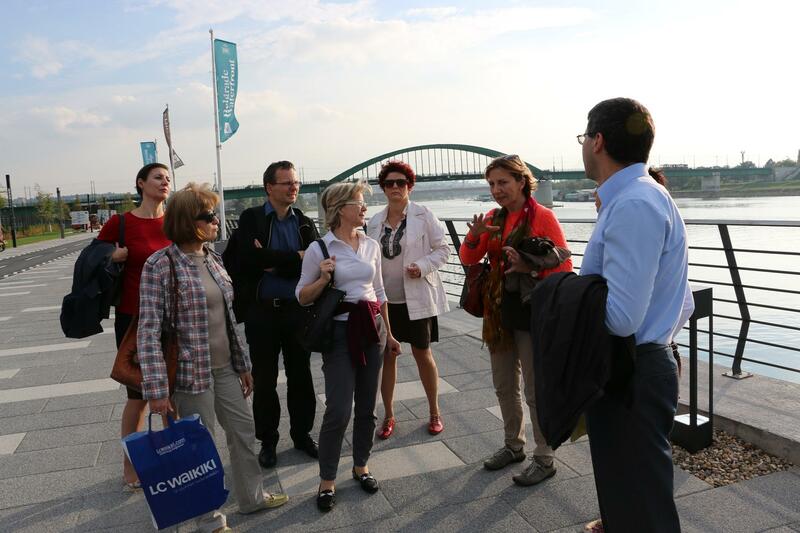 Participants visited the 14 hectares land in the new part of the city, where the new railway and bus stations will be built, as well as the riverbank in the old city where Belgrade Waterfront Project is expected to change City's scenery. 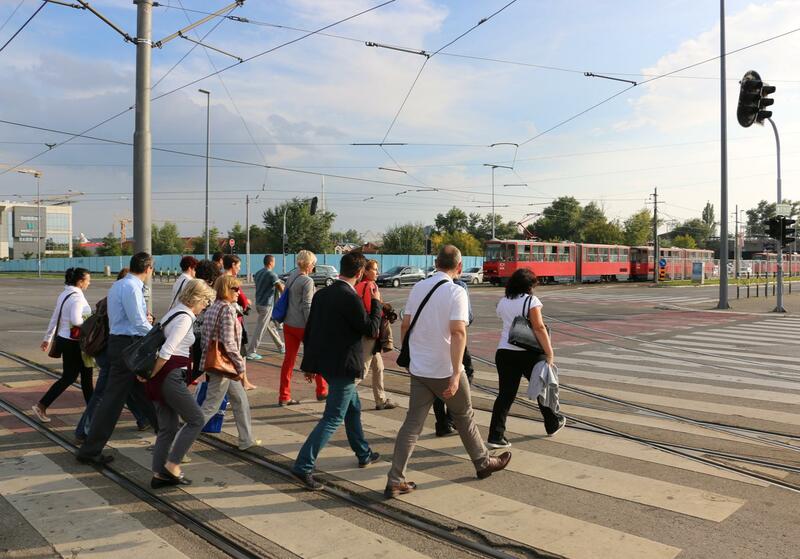 We asked Ms. Gligirijevic what makes her the proudest about Belgrade's urban development. She smiled gently and said: "I might have a slightly different view on this question, but that is probably because I'm a professional. In my opinion, the most important thing about Belgrade's urban development is the effort to pay attention to the public things in the City, those that belong to all citizens, such as streets, river banks, pedestrian areas, parks, as well as all the supporting transportation infrastructure that will ease City's current bottlenecks. Everything else is market". The external international expertise for the workshop has been funded by the Austrian Development Agency (ADA) through the BACID grant scheme (Building Administrative Capacities in Danube Region & Western Balkans), managed by the Austrian Association of Cities and Towns (AACT) and KDZ Center for Public Administration Research.